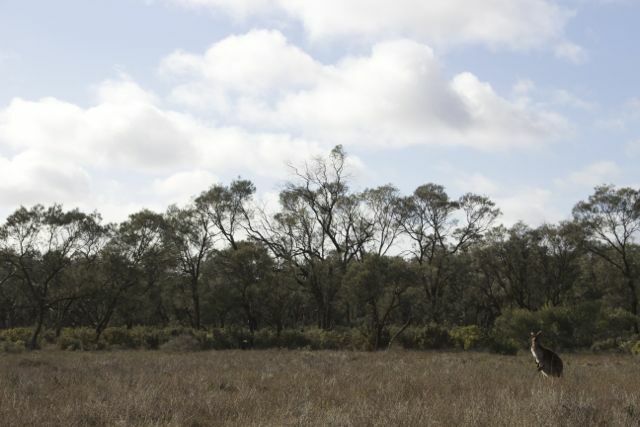 I have just spent a few memorable days in Mungo National Park. I am in middle of writing up a post about the place, but I simply wanted to share these pictures. I love the emus in particular. It was quite windy on my first day with lots of sand blowing in the air giving everything a greyish hue. 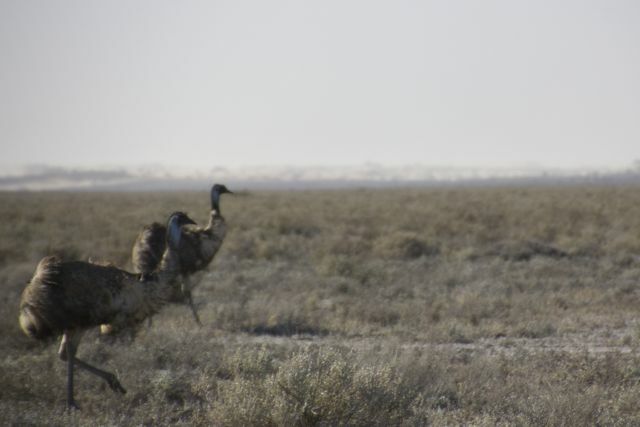 These emus were just moving along the lakebed near where I was driving. The following day these kangaroos took my eye, quite like these shots too! 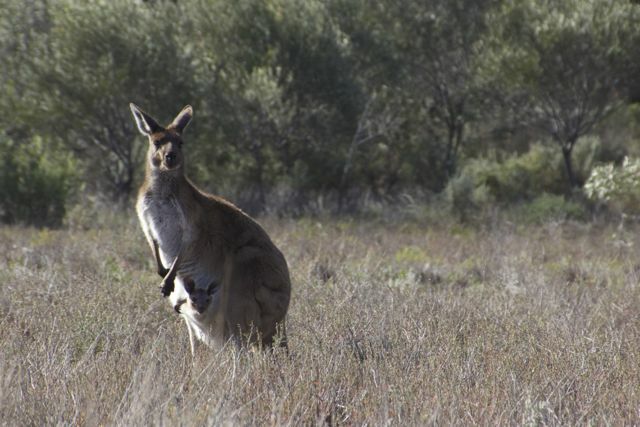 Up close with the same kangaroo moment later…….turns out there was two!